Why Is Blogging A Key Element of Your Marketing Strategy? Blogging is an incredible tool that businesses utilize to engage with their customers and better meet their desires. A blog is the hub of your online presence and a great way to extend your presence to the platform that attracts your customers. It plays an important role in taking your business into the virtual reality. If you’re not blogging, you should start it right away or left behind in the competitive online world. When designing your web marketing strategy, blogging should be a necessary portion of your strategy. 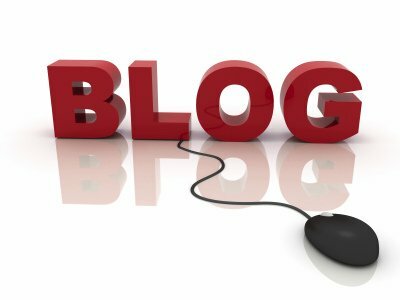 5 Compelling Reasons Why Your Business Should Be Blogging? With blogging, you add regular and appropriate content that drives traffic to your website. Google loves fresh content and ranks your pages higher on search results. Choosing the right blogging platform helps you convert website traffic to qualified leads. Your business personality to your website is by blogging. It connects you with the website audience, increases your business credibility as well as online reputation. Blogs are generally more informal conversation platforms, so take the opportunity to connect with your new and existing customers with ease. Remember to have a consistent voice through your blog content. You can also encourage your visitors to provide feedback, and invite conversations via the comments section. Every post you publish is a versatile asset that builds brand awareness and reaps long-term benefits for your enterprise. Your blog will be educating your customers 24*7. You can also include some YouTube video tutorials to your blog. The increased visibility of your online business attracts other businesses that want to partner with you. A well-designed blog with relevant content will position you as a thought leader in your industry. With rise of social networking, people love to share content with their connections. You can also take advantage of your audience’s wider network, and encourage them to share your posts with their friends, family and colleagues. The better are your posts, the more sharable they will be. If enough people are sharing your posts, then your blog starts moving up in search engine ranking, and potential buyers are more likely to be attracted to you. As online marketing continues to grow, blogging is a great platform to help you stand out as a clear winner. An important element that should not be missing is that you need a call to action such as make an inquiry, or to subscribe, or providing a free trial of services offered. Well, with these reasons, aren’t you up to get your business blog? There are several ways to go about it and the good news is that it is easy to set up and in many cases, this can be done free. Just focus on quality content that provide relevant and educative information. If you are busy with your business and running it, get a professional blogger to do the work for you. The business blog is certainly a marketing platform you should not ignore.